Explains the allure of the phonographic phenomenon: Possibly the largest coherent collection of pure field recordings and associated styles. The phonography scene is small and fragmented, yet ambitious and international – all factors which make it simultaneously hard and easy to keep up with developments. Ever since it was founded, Gruenrekorder has attempted to be more than just a label and turned into a hub for field recording-related issues and projects. They therefore seemed like an obvious choice for Angus Carlyle as curators for the audio part of his „Autumn Leaves“ compendium. „Autumn Leaves“, in itself, was already an important step. Collecting articles and essays from a slew of experts, journalists and fans, it tried explaining the allure of the phonographic phenomenon and provided valuable food for thought for newbies and insiders alike. Originally, the concept of the book included two discs‘ worth of music to exemplify the thoughts and insights of the texts, but for various reasons, the music ended up in an online-only free-to-download format. That, of course, is not the worst of solutions. 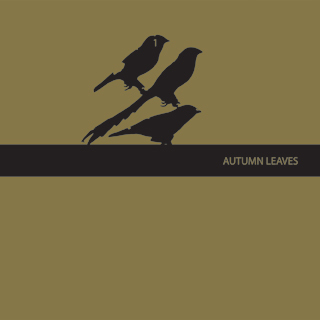 With a total of 32 tracks, after all, „Autumn Leaves“ is now possibly the largest coherent collection of pure field recordings and associated styles and it is out there to be discovered for anyone seeking enlightenment on the topic. 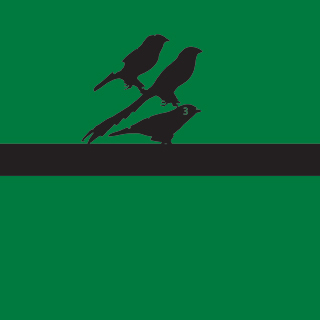 While many phonography-samplers tend to focus at a particular and consciously restricted area, Gruenrekorder has managed to provide a general perspective: There is even a lengthy excerpt of an interview with Chris Watson included in the track list, in which the wildlife- and bird-recording specialist speaks out about his former antipathy against certain sounds of modern life. The conversation is one of the definite recommendations on a compilation with many highlights. Former radio journalist Els Viaene, for example, who conducted the interview, has contributed a dronescape based on on-site tapings at a small train station in Laken in Brussels, in which echoes of the field recordings are counterpointed and juxtaposed by rhythmic passages and mellow ambiances. And Christina Kubisch, one of Germany’s most experienced and longest-standing sound artists, delivers a track which contrasts birdsong and sounds of nature with overlapping spoken word phrases. The pure phonography department is represented by the first third of „Autumn Leaves“, in which the crystal-clear „Chernobyl“-scenes by Peter Cusack, Yannick Dauby’s peaceful „Kuan Yun“ and Jez Riley French’s crackling „Church Door and Window“ are both skilfully crafted and full of emotional resonance. While a longing for beauty is inherent to all these pieces, their apparent differences in recording technology also provide ample leverage for insightful comparisons. „Autumn Leaves“, of course, does not end the patchwork character of the scene, but it does provide perspectives for the genre which could lead it out of its drastic niche existence. Field Recordings have by now turned into an integral part of every form of experimental music, offering tangents with a plethora of other styles and artist communities. Some of these parallels have become threedimensional thanks to this compilation, which is as important as it is enjoyable. The paucity of language to describe acoustic phenomena is noted immediately in the introduction to Autumn Leaves: Sound and the Environment in Artistic Practice. This slipperiness of language as a reflection of the richness of sound in space is preferred, says editor Angus Carlyle, and, as played out through the essays in this collection, becomes a celebration of „the complexity of sound’s movements to and fro and of the wonders of our ears and minds“ (5). For example, „New York Society For Acoustic Ecology“ describes The NYSoundmap Project (www.nysoundmap.org), an historical record and subjective presentation of the city’s shifting sonic environment and temporal, physical, and cultural contexts. „Sound, Art, and Architecture,“ by Rhama Khazam, describes how music and sound art are inspiring architects seeking to incorporate time-based practices in their work. In the face of formatted behavioral patterns engendered by globalization, „artwork intended for universal and immediate consumption is giving way to the experience that unfolds over time, predicated on the public’s willingness to attend and participate“ (66). The essays, interviews, and artworks collected in Autumn Leaves provide a wide-range of international voices and visions. The new translations of the 100 Japanese Soundscapes and 100 Finnish Soundscapes projects also extend the book’s reach. This world grows farther from us, we are more and more insensible to manifestations of vital forces of Nature, those which animate living beings, as the natural elements such stones or wind, those that make a singing frog can still hear in a pool of Chernobyl, or something like that … The idea of capturing these kind of events is found in the practice of field recording (as in photography), a certain mindset impressionist ??? Autumn Leaves, compilation in three volumes (high definition), makes us reconsider the two holes we have on each side of the skull, to get the idea of a symbiosis between the different vibrations (environmental, physical, cosmic), to practice the idea of an auditory digestion (cause what goes in must go out). Happy listening.